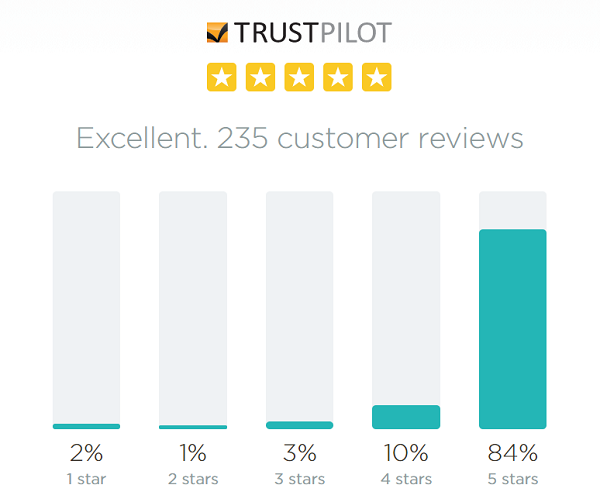 PensionBee Review - The right place for your pension pot? In this PensionBee review we carefully examine the PensionBee service to help you decide if this is the right place for you to find, combine and grow your old pensions. If there’s one area of personal finance that people in the UK need to be taking more seriously right now it is our pension arrangements. With large holes appearing in both company and government pensions alike, it is vital that we make the most of any money we have already invested into our pensions. Similarly, we also need to ensure that we are putting enough money away to adequately fund our retirement years. This is where PensionBee* come in. PensionBee are a company who are working hard to transform the pension industry as we know it. They aim to make pension saving simpler by helping you to find and combine all of your old work pensions. This means you can bring them into one, easy to manage pension platform known as the Beehive. From the Beehive* you will be able to see simply and clearly how much money you currently have put away for retirement. 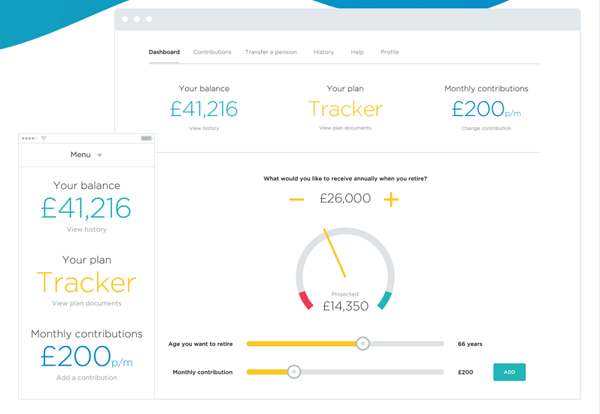 You’ll also be able to track how well your pension pot is performing and make top-up contributions as and when you want to. Since launching in 2014, PensionBee have had over 144,000 signups and have been campaigning hard for change to the pension industry. They have specifically pushed to improve the ease and speed of being able to transfer a pension. PensionBee* aim to take the hassle out of moving and combining your pensions by doing all of the hard work for you. PensionBee will ask you for some simple information. Using this info, they will then trace and find all of your old pensions for you. PensionBee will assign a dedicated ‘Beekeeper’ to take care of all aspects of the switching process. Once they have found your old pensions, they will then transfer them all over to one of their own competitively priced pension plans. These plans are managed by some of the biggest and most trusted pension providers in the world in Blackrock, State Street and Legal & General. If you’re not happy with any aspects of the PensionBee service, you can cancel the whole process within 30 days of it starting. PensionBee will then return your old pensions back to their previous providers at no cost to you. With PensionBee, you only ever pay an annual management fee. This means there are no entry or exit fees. 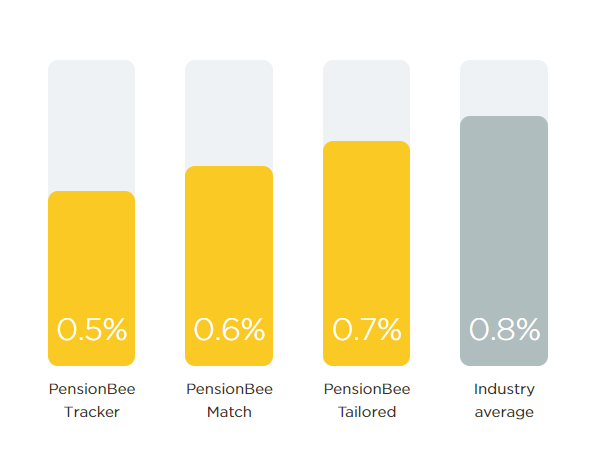 Starting at just 0.5% per annum, PensionBee’s fees are priced competitively and are lower than those charged by many other pension providers. They are also lower than the industry average as a whole. The fee you pay will depend on which plan you choose. There are currently 7 different plans to choose from which we’ve listed below. For more details on any of these plans, please see the PensionBee website*. PensionBee also recently updated their fees so that they halve on amounts invested over £100,000. As we can see, when it comes to fees PensionBee offer good value. This could result in your pension pot growing at a much faster rate than it would if you simply left your old workplace pensions where they are. This is because these plans can often be subject to unnecessarily high management fees and charges that can easily eat away at your returns over time. Who Is PensionBee Not For? It should be mentioned that there are a few people who PensionBee might not be right for. Firstly, you can only use the PensionBee service if you are transferring old pensions over to the platform. You cannot start a brand new pension with PensionBee. You can make top-up contributions to your PensionBee plan once your old pensions have been transferred, though. The other notable restriction to using the PensionBee service is that they are unable to transfer any pension that has guaranteed benefits of over £30,000. The reason for this is that the government requires that you take financial advice from a transfer specialist before you transfer any pension over this size. If you don’t currently have a financial advisor and feel you need to talk to one then you can find a local adviser here*. The big question most people have when transferring a pension to a new company is whether their money is safe and protected? As mentioned earlier, PensionBee’s plans are controlled by three of the biggest pension providers in the world. This should straight away allay some fears. The other point of note is that PensionBee are regulated by the Financial Conduct Authority. This means your pension savings will be protected by the FSCS for 100% of your pension as assessed and accepted by the FSCS. This protection has no upper limit. So there we have it, our full review of PensionBee. Hopefully you now have a much better idea of how the PensionBee service works and whether it is the right option for you. If you think it is, then it’s really easy to get started on the PensionBee website*. I have three pension funds. One at £84k, one at £24k and a little one at £3k all with different companies. I’m 55 next April. Would it be of my interest to use pensionbee? I’ll be taking my tax free quarter of my main one next year. Hi Martin, thanks for your comment. I can’t really advise on specific situations I’m afraid but you may find some useful information and links in the section of this review titled ‘Who Is PensionBee Not For?’. That section outlines some potential restrictions to the PensionBee service and it also links to their site where you can find a ‘frequently asked questions’ page. There’s also a link in that section to a website which can help you to find a financial adviser in your local area who will be able to answer any specific questions you have regarding your pension arrangements. Hope this helps!